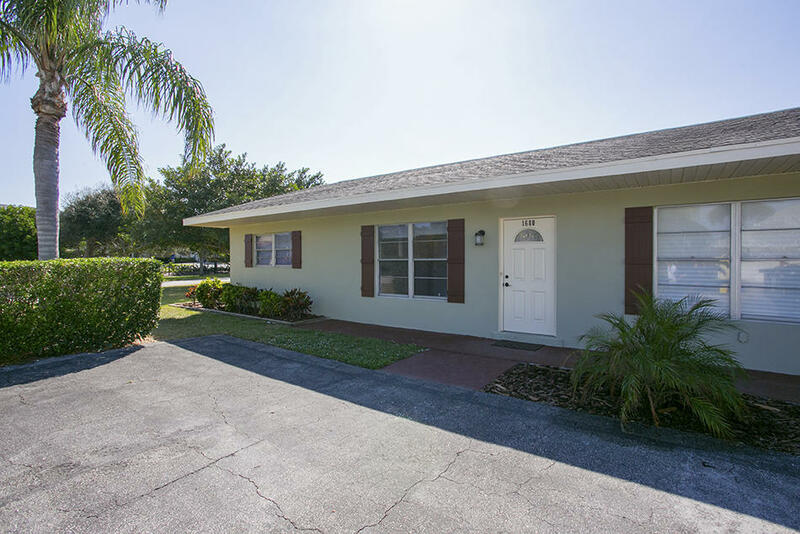 Hit the beach in this completely remodeled 2/1 duplex just a stroll from the beautiful sandy shores of Juno Beach. Completely renovated inside with new floors and lighting throughout. An all-new kitchen features marble counter tops and stainless appliances and loads of large white cabinets for storage. Master bedroom is spacious and second bedroom has a fan and two windows. Bathroom is done in a deluxe style with large mirror, granite vanity, wooden cabinet with storage, high-end faucets and upgraded tile in the tub/shower. New landscaping surrounds the home, and a privacy fence is being installed for patio enjoyment. Water Included!